The hybrid cloud has proven to be a valuable tool for the media and broadcast industry - with many companies using the public cloud for tasks such as archiving video files while keeping other media workflow aspects like production and editing private. So why shy away from blending the best of both worlds? 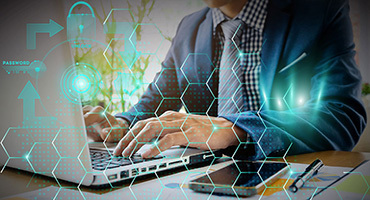 For many organizations, the primary concern over the hybrid approach is security, but even this appears to be shifting. A recent report by Gartner predicts that by 2018, increased security will displace cost savings and agility as the primary driver to the public cloud. But as security becomes less of a concern, the benefits of the hybrid cloud will be difficult for media and broadcast companies to ignore. Likely, it won't be long before trusted public clouds become the most secure place to store valuable digital assets. Replace desktop-installed apps with software-as-a-service (SaaS). Support small, medium and large systems. Leverage virtualized cloud services, storage, processing, security, reliability and pay-as-you-go accounting. Utilize rich APIs for customization. In essence, the hybrid cloud approach supports agile growth and innovation for companies to extend their reach. For the media and broadcast industry, this hybrid solution offers scalability and allows computing capacity to expand to support the needs of a growing company. It also can help organizations extend their reach - giving them the agility to quickly respond to changing markets and customer needs. For example, when Russia's Mariinsky Theatre wanted to live-stream ballet performances to viewers around the world, critics were concerned the quality of the streamed content would be too low to risk presenting to the public and jeopardizing the theatre's reputation. 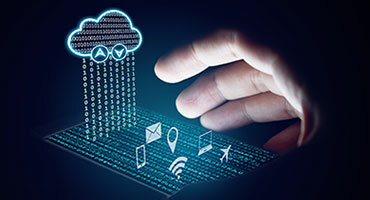 To address this concern, the Mariinsky connected its own infrastructure to a scalable, high-performance cloud hosting solution. As a result, the theater extended to broader audiences while accommodating changes in the amount of viewers on their digital content-streaming platform. Ultimately, this hybrid approach allowed Mariinsky Theatre to reduce expenses by $20,000, increase performance by 30 percent and stimulate infrastructure deployment by 99 percent - not a bad result at all. To achieve hybrid status, there's a lot of work that needs to be done to fit a company's specific needs into the cloud. Sometimes legacy systems may offer services that are challenging for a company to replicate in the cloud. Likewise, security or compliance concerns may require an organization to keep their highly sensitive data in house. With the hybrid approach, media or broadcast companies can start small (as with video archiving) and move other aspects of their workflow to the cloud over time, reducing the amount they house locally. 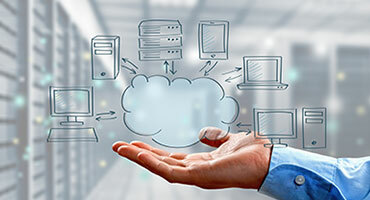 For many organizations, the best results come when legacy systems are put to work in a hybrid context - using either the private or public cloud when and where it makes the most sense.